Congratulations to AWE client Graham Kay - had a great shoot for CBS's "Late Show with Stephen Colbert," air date TBA. Read more about Graham Kay on Colbert! 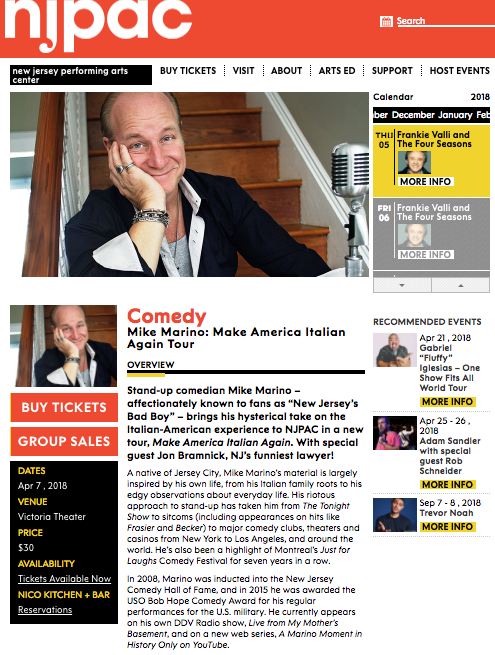 AWE client Mike Marino stars at the New Jersey Performing Arts Center, part of a comedy lineup that includes Gabe "Fluffy" Iglesias, Adam Sandler, and Trevor Noah.